President Trump’s approval rating among U.S. voters has fallen in recent weeks, according to a Quinnipiac University survey released Thursday. 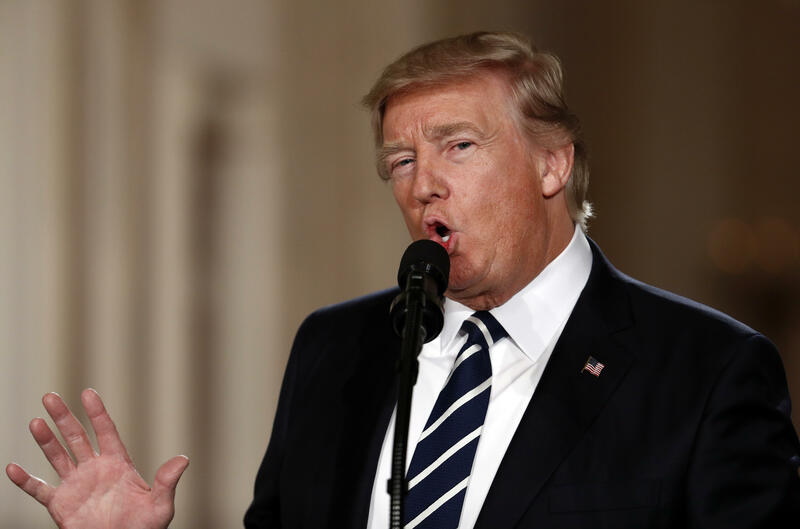 The poll found 37 percent approve of Mr. Trump’s job as president while 56 percent of people disapprove. That’s compared to 41 percent who approved of his job in a March 7 survey, with 52 percent disapproving. Quinnipiac attributed the drop in approval to Mr. Trump losing support among Republicans, men and white voters within the last month. The latest survey found that a majority of Democrats, women, independent voters and non-white voters disapprove of the president’s job so far. Majorities of people surveyed also said that the president isn’t honest, doesn’t have good leadership skills, does not care about average Americans, is not a strong person, is not intelligent, is not level-headed, does not share their values and does not have good leadership skills. Nearly three-quarters of the public, 73 percent, said that Mr. Trump and his administration make statements without evidence to support them “very often” or “somewhat often.” Seventy percent of voters said they don’t believe the president’s claim that President Obama had ordered the wiretapping of Trump Tower during the 2016 campaign, while 19 percent said they believe that allegation. Forty-one percent of Republicans believe his claim and 39 percent don’t believe it. FBI Director James Comey told Congress this week that neither the bureau nor the Justice Department has evidence to support the claim. The poll surveyed 1,056 voters between March 16 and 21 with a 3 percentage point margin of error.